Super geeks Chris Lisanti and Aaron Virola host this weekly podcast unpacking their love and nostalgia for film, TV and more mixed with current pop culture. Thanks for checking us out! Enjoy! 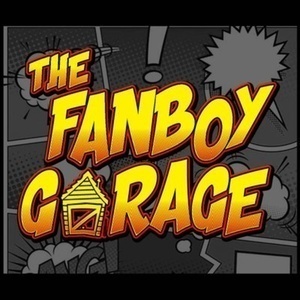 On this fan-centric episode of The Fanboy Garage, we change things up a bit by fielding questions from our fans and unpacking our thoughts on a variety of topics including the DCfilms on the horizon, is there such thing as too many comic book movies in a year, our favorite comic book stories and more. We kick the episode off with a flash of lightening by asking if The Face of WWE, Mr. John Cena, would have been a better pick as the lead in Shazam and from there we move into a conversation about the comic book characters we’d like to see adapted for TV (sneak peek: Alpha Flight& The Question) as well as our top-five DC comic book story lines. With a Snap of a finger, we shift gears to address a question on why we think Avengers: Infinity War is so good, if not the best in the MCU. To close the show, we discuss the idea that there may be too many comic book movies out there for viewers to digest and that takes us down the road to examine the DCstrategy for releasing films including the potential challenge Aquaman is facing with other blockbusters being released in the same weekend like Bumblebee. You might need an Attitude Adjustment because there’s lots to unpack and think about in this episode! Be sure to tune in and subscribe where all great podcasts are found and don’t forget to keep the conversation going by tweeting us @TheFanboyGarage. If you’re also looking for the hottest TFG gear, be sure to stop by TheFanboyGarage.com and if you like what you’re hearing, don’t forget to leave us a five-star review.